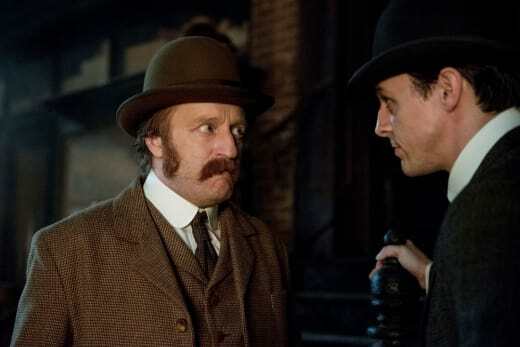 The team minus Kreizler closed in on child killer John Beecham on The Alienist Season 1 Episode 9, but not before another nameless, boy prostitute was killed on another obscure religious holiday. 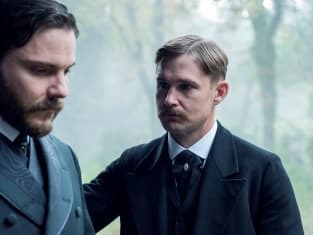 As usual, Kreizler was emotionally unavailable, but he was physically unavailable as well this time, as he processed his grief after Mary's murder. So Sara took over heading the investigation, not out of ambition as Moore intimated, but out of an urge to stop the killer before anyone else died. Before long, Sara had managed to find a new headquarters, a recently shut-down bar. I'm betting recovering alcoholic Moore wasn't in love with that choice. 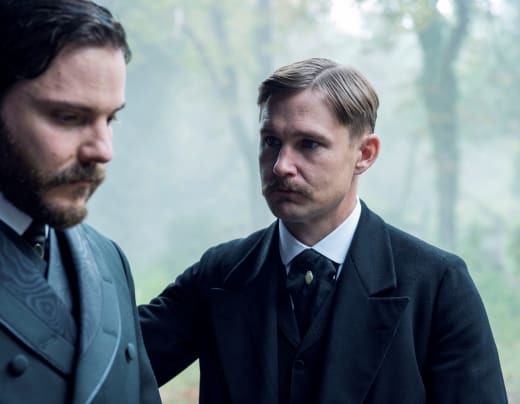 Sara quickly summarized what the team learned in The Alienist Season 1 Episode 8 in pinpointing Jacob Dury/John Beecham as the killer. I'm glad they didn't take long to reach a conclusion that was readily apparent. Then came the tricky part: figuring out what Beecham had been up since his release from St. Elizabeth's asylum years earlier. In this era of Google, it was educational to be reminded how much legwork people used to have to do to gather the slightest bit of information. I mean, when was the last time anyone even thought about the census? Does it even still exist? Yet the census was the only written record of people back in 1896 New York City. It's what led the team to Beecham, or at least his room, eventually. But they only got there after a series of false starts. Their visit o Beecham's former address introduced them to the crazy cat lady (I guess that's a perennial thing), who gave them the fact that Beecham also worked as a charity worker. Still, going door to door in the poorer neighborhoods got them nowhere. It wasn't until they started thinking like Kreizler, until they attempted to get inside the minds of the killer and the victims, that they made any headway. Psychology helped them to realize that, like Beecham, the victims have hated their parents, and that census takers and charity workers would never have met the children, just the parents. With many of these fathers being gamblers, Beecham met the entire family as muscle for the crime lords to whom the fathers owed money. That's how the connection between killer and victim formed. That made perfect sense. 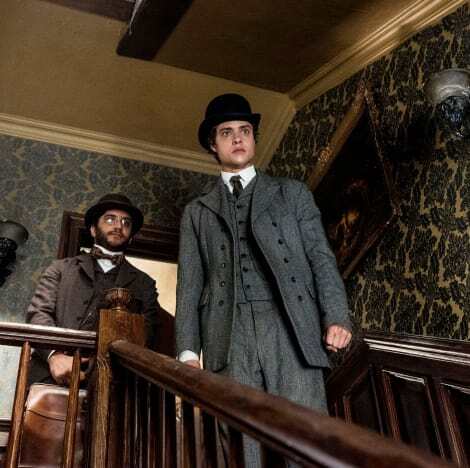 In the midst of this search, Moore took time to aid Joseph, the boy prostitute in whom he had taken almost a paternal interest, but Joseph didn't take John's warning seriously enough. Things didn't look good for Joseph in the end. Things were much worse for Maxie, Beecham's victim on the day of The Feast of St. Barnabas. It's a shame that it took so long for Sara's team to locate the horror that was Beecham's room. Would they have caught up to Beecham in time had Kreizler been with them? I'm going to say no. There was considerably less infighting without him accidentally insulting the others' intelligence. Maybe having him there only in spirit was beneficial. Related: Get Britbox via Amazon Channels for the biggest streaming collection of TV from BBC & ITV...ever. That being said, I felt bad for Kreizler. He finally opens up his heart to somebody, and this happened. Mary brought a certain light to his world. Now his house was filled with her ghosts. With her death, Kreizler went back into himself, unwillingly to let in anybody else, even those concerned about him from outside his house staff. The loss of Mary only added to the demons with which Kreizler has been wrestling, most unsuccessfully. These problems go back to his youth. Like Beecham, like the victims, Kreizler seems to have not had the most supportive of parents, which is something that haunts him to this day. The series is nearly over, and Kreizler had yet to gain insights into the problems which plague him. So enmeshed in his own grief was Kreizler that he couldn't see how Mary's death affected her friends Cyrus and Stevie. It's a shame Connor's son showed up before Cyrus could exact revenge on Connor. One thing that is certain is that no one will ever be convicted for Mary's death. A white cop killing a minority woman would be a hard conviction to gain even today. So the only way someone will pay for Mary's murder is street justice. Related: Get Walter Presents via Amazon Channels for Original, Exclusive, Hit Series from Around the World! The only story that will be believed was the fantasy which Doyle created to cover up Connor's crime. Meanwhile, the fired Connor continued to be a nighttime specter, beating up Moore, threatening Sara. I have no idea what Roosevelt hoped to accomplish by charging into an Irish cop bar to confront Byrnes. It certainly gained him no converts. On the season finale, the team has to find a way to come back together and stop Beecham before he kills again, even though he has killed from the shadows for years. To catch up before the finale, watch The Alienist online. How will Kreizler pull out of his grief? Will anyone pay for Mary's murder? Did the team operate effectively? Comment below. You are not alone in your sorrow, and there's no shame in grieving for those you love. 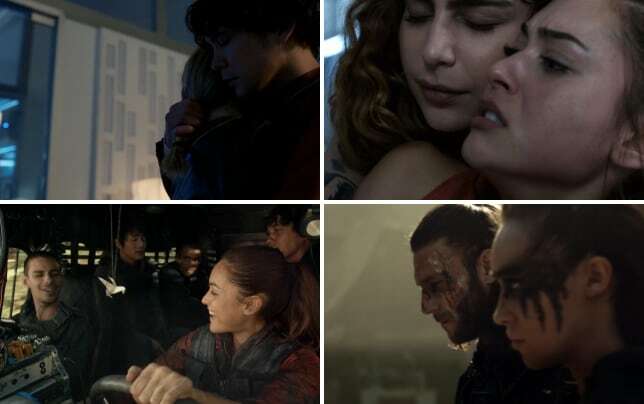 Permalink: You are not alone in your sorrow, and there's no shame in grieving for those you love.